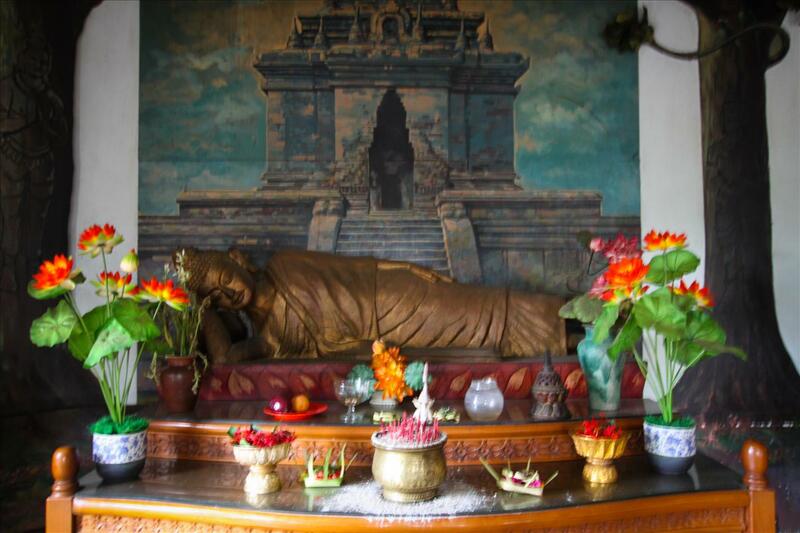 The words “Brahma Vihara Arama” translate to something close to “limitless sublime attitudes” in Sanskrit. 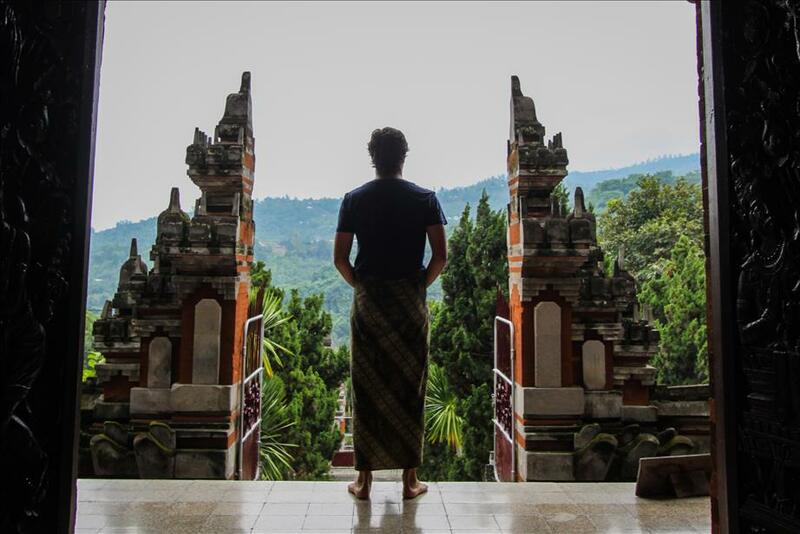 The experience of visiting the largest Buddhist temple in Bali was indeed something sublime. 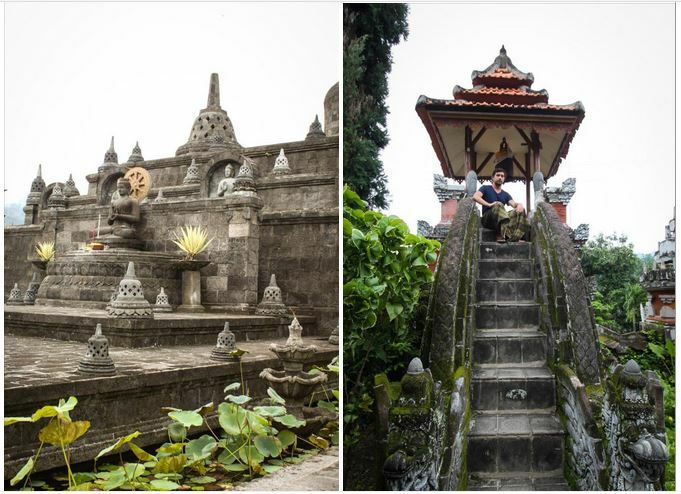 Located in the mountains close to Lovina, Northern Bali, the temple is an absolute must see for any visitor fortunate enough to find themselves in area. Upon entrance visitors are given a sarong to don as they journey into the temple. Shane and I both in skirts, ventured into the monastery where we were greeted by pure serenity. The complex actually opens its doors to foreigners from all over the world to stay in the monastery and meditate at the site, however, our goal was to indulge in the gorgeous scenery and relaxing atmosphere with eyes and camera apertures open. We enjoyed the pond at the entrance surrounded by beautiful statues. Then we climbed the steep steps to see the rest of the temple complex. Shane daintily clutched his sarong as he ascended the stairs so as not to trip. The view from the top offers a panorama of the lush jungle of North Bali. In the chamber I lit some incense and paid respects to the Reclining Buddha before making my way out to the gilded stupa outside. The mixing of traditional Balinese ornamental detail work and Buddhist iconography gives the temple a remarkable uniqueness setting it apart from other Buddhist temples I’ve been to in Asia. 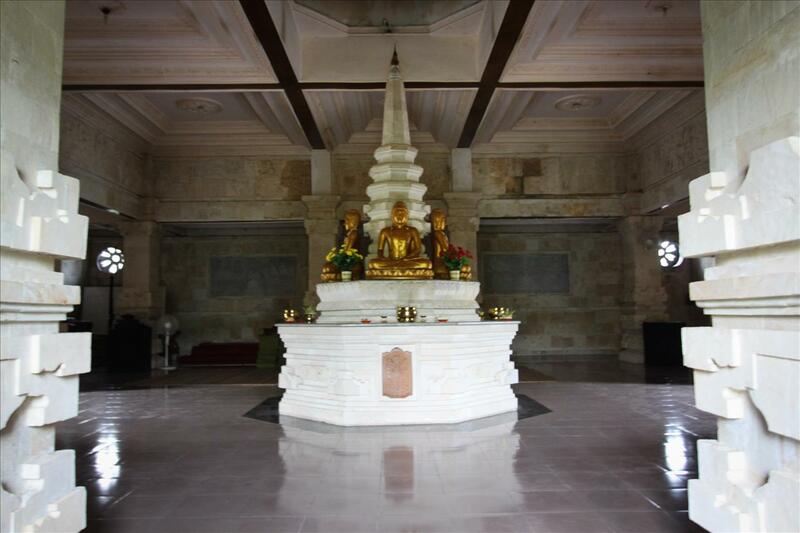 In the temple’s meditation garden is the immaculate marble hall where sessions are taught for those who retreat at the monastery. The facade of the structure is very reminiscent of the famous Borobudur temple of Jogjakarta, an ancient UNESCO world heritage site in Central Java. The surrounding lotus plants symbolize the enlightenment: a bloom rising up through muddy waters to see the sun. This is the one for me! 🙂 It looks beautiful. Here I come to get my sarong!